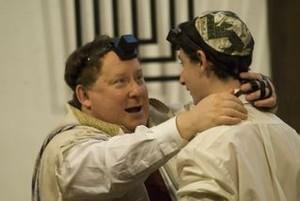 All manner of Jewish Lifecycle events are celebrated at Temple Israel of the Poconos! Whether a Bris, a Bar or Bat mitzvah, a wedding or even a funeral, we come together as a community to celebrate all important life milestones. In one week we can celebrate a bris, a wedding and a life well lived, and in yet another week celebrate a Bar Mitzvah and a wedding! As the center of vital Jewish synagogue life in the Poconos, exciting events are always happening. Interspersed with the holidays determined by the calendar, are important markers celebrating important markers in our life's journey, that are set by us, not the calendar. Having said that, there are certain weeks throughout the year where weddings are disallowed, and other weeks in the year where they are especially encouraged. Adults who through no fault of their own were denied the opportunity to observe a Bar or Bat Mitzvah at age 13, may study towards an adult Bar Mitzvah either as part of a group or as an individual. Often these later celebrations are even more meaningful, as they are entered into with the blessing of powerful intentions. Our Hebrew School students typically spend five years in study, learning to read and understand Hebrew, prayers, holidays, history, Jewish thought and customs and ceremonies. A child is called to the Torah in front of the community to mark the passage into adulthood and its attendant sense of communal expectations and responsibilities. Since the Torah is read every Shabbat morning, that is the most typical day for holding this Rite of Passage. Special circumstances may call for an alternative day during the week when the Torah is read, such as Chanukah or Rosh Chodesh. Please consult the Rabbi if you anticipate a special need in this area. Two years prior to reaching age 13, as the child turns 11, the Rabbi must be consulted to choose a date and begin training. 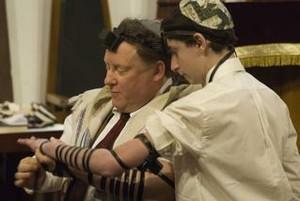 The child is taught to chant from the Torah and Haftarah and say all the special blessings. In addition, as determined by time availability, the child is taught to lead significant portions of the service, both Friday evening and Saturday morning. The child is expected to attend Shabbat morning services and Friday evening services a minimum of twice per month in the six months prior to the event. This is for the child's benefit, to familiarize the youngster with the service to maximize his or her comfort level with the service, its prayers and its melodies. A Bris is short for Brit Milah, meaning the Covenant of Circumcision. Circumcision is the indelible mark of one's Jewishness, symbolizing the joining of man with G*d working together to perfect the human form. Forbidden to be performed by both the Greeks and the Romans upon pain of death so as to stamp out Judaism, the bris ceremony in particular became a mark of affirmation of the Jewish faith. A bris is always performed on the eighth day of a baby boy's life, even on the Sabbath or Yom Kippur! The only exception is where the doctor determines that the baby's life is jeopardy. In that case we wait until the doctor gives his permission before observing this mitzvah. Please consult the Rabbi to aid in the selection of a competent mohel to perform the procedure. Please understand that a ritual circumcision is completely different from a purely medical procedure, which is devoid of religious value, content and meaning. Two souls come together. Two soulmates unite. Two lights come together as a bright flame. A vibrant Jewish home is built upon the foundation of a Jewish wedding. 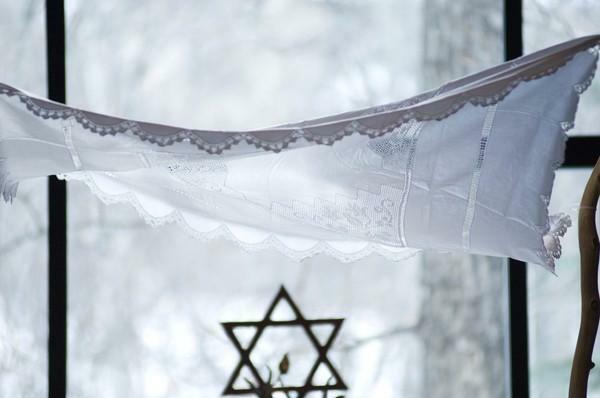 The Chuppah symbolizes the new home. The groom enters first and then the bride follows, circling him to symbolically protect and shield him, and, like Joshua, to break down the walls blocking emotional intimacy and old patterns and habits. A new life together requires openness to new ways of sharing and thinking. A Jewish wedding consists of two separate parts, each symbolized by its own separate cup of wine. The first half is called the kiddushin. The second half is called the nissuin. In ancient times they were completely separate ceremonies held a year apart. Owing to the vagaries and dislocations of Jewish life they ultimately became conjoined as the two parts of a now singular wedding ceremony. Kiddushin sets the groom and bride apart to be soon united as a couple exclusive to each other and forbidden to all others. The veil is lifted, the bride is verified, and a blessing is made over the wine as the ring is slipped onto the bride's index finger, the finger closest to the heart. 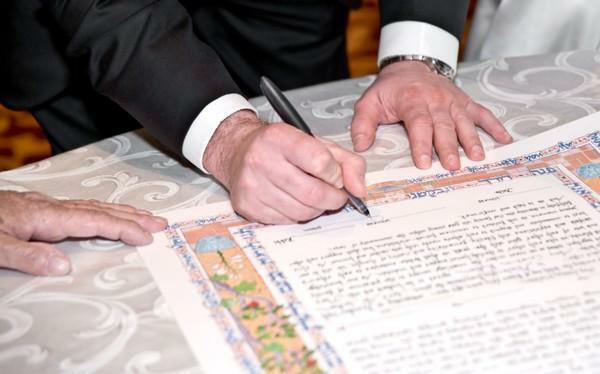 Then the Ketubah, or marriage contract, is read out loud by the Rabbi. A legal contract, written in Aramaic, it becomes the wife's property and is often quite artistically beautiful and displayed on the wall in the couple's new home. The second half of the ceremony, called nissuin, is the actual marriage ceremony. The sheva brachos, or seven blessings are recited, alluding to the nuptial bliss of Adam and Eve in the Garden, and the potential of the new couple to build a home together with so much joy and happiness that the sounds of groom and bride will reverberate through the hills and cities of Judah. The groom then steps on the glass, shattering it, symbolically remembering the destruction of Jerusalem's Holy Temple even amidst one's happiest life moment. Prior to the wedding it is customary for the bride to visit the mikvah for the first time. Following the wedding it is traditional to observe sheva brachos for all seven days, hosted by a different party each night. The honeymoon comes later, after the couple have been feted for an entire week by the community! For a second marriage the celebratory "week" is shortened to but three days duration. The saddest yet most inevitable part of the life cycle is death and the funeral. A life is likened to a candle flame, burning brightly before fading out. It is traditional to perform a tahara (rite of purification) on the body. The chevra kadisha lovingly washes the body and dresses it in shrouds. A plain pine box is used to symbolically demonstrate the equality of death. Our wealth and riches cannot accompany us. Only our good deeds and good name can accompany us to the hereafter. A hesped (eulogy) is recited with words often shared by the officiating Rabbi and members of the family. Various psalms are recited as well as the El Maleh prayer (Oh G*d of Compassion). The immediate family members tear their garments (keria) as a sign of mourning. Often the casket stops seven times on the way to the grave as psalms are recited. Kaddish is recited. Family members and friends shovel soil onto the casket, completely covering it, symbolizing the reality of death. Shiva begins following the interment, and begins a traditional seven day period of mourning. We remember and recall the merits and good deeds of our loved one. It is customary to hold services in the shiva home, enabling the family members to recite the mourner's kaddish, which may only be recited in the presence of a minyan (prayer quorum). The shiva is not a party. It is a solemn time to sit with the mourner and allow him/her to share thoughts and unburden feelings of loss and grief and so begin down the road to emotional healing. Kaddish is recited for eleven months for a parent, and thirty days for a sibling, a spouse or child. The mourning period for a parent is twelve months, during which the mourner is to avoid public celebrations, parties and musical performances. One is encouraged to take on regular acts of Torah study and the performance of good deeds in the name of the deceased as an act of kindness to assist the neshama (soul) of the departed in its ascent. Caring for the deceased is called Hesed Shel Emet, an Act of True Kindness. Whereas most good deeds can always be reciprocated, acts on behalf of the deceased can never be reciprocated. Temple Israel of the Poconos has two cemeteries. Anyone interested in the purchase of graves should contact the office 570-421-8781 where a member of the cemetery committee can assist you with your needs. The office can also assist you with memorial plaques and/or the purchase of a memorial stone (matzevah) for the unveiling, which is usually arranged within the first year of your loved one's passing. The Rabbi should be consulted in all stages of the process for appropriate halachic and ritual guidance. Conversion to Judaism (giur) was historically commonplace and encouraged. Owing to violent reprisals from church authorities the practice was actively discouraged. In the free air of American democracy it is once again an attractive option for those seeking to spiritually join the family of Abraham and Sarah, who were themselves converts. Those interested in conversion generally meet with the Rabbi and embark on a minimum year's course of formal and informal study. When the both parties feel the time is right, a meeting with the Beit Din (rabbinical tribunal) is set up, where the motivations and knowledge of the prospective convert are explored. Upon consensus of the Beit Din, the candidate then immerses in a mikveh to complete the ceremonial process. For a male, circumcision by a mohel precedes his immersion. If already circumcized, the male candidate must have a hatafat dam brit, whereby a drop of blood is drawn by the mohel. As much as the convert is a Jew by Choice, he/she is also a Jew by Admission. No one can cross the border and announce to the world he is an American citizen, He/she must study and pass a citizenship test before attaining the status of naturalized citizen. Likewise, for admission to the ranks of the Jewish people, the prospective candidate must meet minimal standards of qualification, as recognized by classical Jewish religious law (halacha) over the centuries. 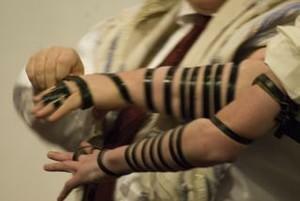 Most synagogues throughout the country are blessed with a plethora of gerim (converts). Often they are found to be the most enthusiastic and committed members of the congregation. As they have chosen Judaism as an act of free will, they are by definition more committed to their adopted faith and community than are born Jews, whose religion was not chosen as an act of free will. They are often our very best role models and committed members in whom the community take deep pride and feel great admiration.